LOUISVILLE, Ky. — Struggling pizza company Papa John's has turned to activist investment firm Starboard Value to help it engineer a turnaround. Starboard CEO Jeff Smith will become chairman of Papa John's board. Also named to the board are Anthony Sanfilippo, the former chairman and CEO of Pinnacle Entertainment Inc., and Steve Ritchie, Papa John's current CEO. "Papa John's has always stood for higher quality pizza, and we believe Papa John's has a strong foundation," Smith said in a statement. 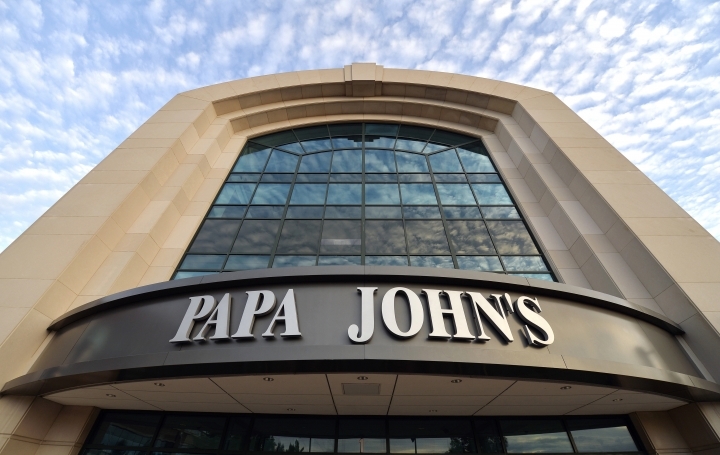 "We look forward to providing leadership, sponsorship, and support to instill operational, financial and corporate governance best practices, and working with the Papa John's team to develop a disciplined long-term strategic plan." Papa John's shares jumped 9.6 percent to $42.21 in midday trading Monday. Papa John's said Monday that Starboard Value will invest $200 million in the chain through the purchase of new convertible preferred shares. Starboard has the option to purchase up to $50 million additional shares by the end of March. Franchisees also have the option to purchase the shares. Papa John's, which was founded in 1984, has 5,000 restaurants in 45 countries. It has been floundering after a series of missteps by its founder, John Schnatter, who blamed disappointing sales on NFL player protests and used the N-word during a company conference call. Schnatter stepped down as CEO in late 2017 and resigned as chairman last July. He still owns around one-third of the company's shares. In a filing with the U.S. Securities and Exchange Commission, Schnatter said he made a more lucrative investment offer to Papa John's board on Saturday after he learned about Starboard's offer. He has since withdrawn that proposal and is considering his legal options, the filing said. A spokesman said Schnatter had no additional comment Monday. Louisville-based Papa John's said its full-year earnings per share will likely be at the low end of its previous forecast of $1.30 to $1.60. North American same-store sales fell 8 percent in the fourth quarter of 2018. International same-store sales fell 3 percent in the fourth quarter. Papa John's said it will release its full fourth-quarter and full-year financial results on Feb. 26.